For any player young, veteran or somewhere in the middle, an early season call-up to their national side feels like a reward for a job well done. 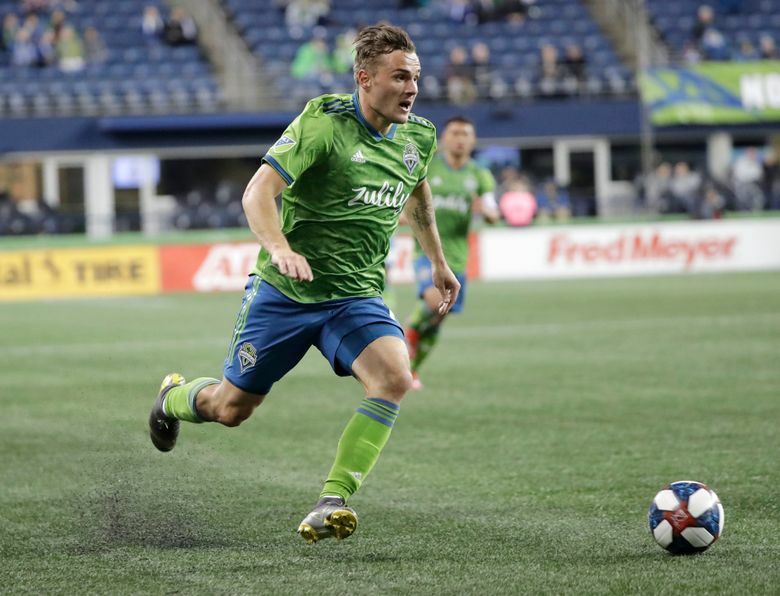 Jordan Morris reported to the U.S. Men’s National Team this week, alongside good friend and Sounders teammate Cristian Roldan, feeling his career has been given a second chance after being derailed by injury the past 1½ seasons. For veteran midfielder Gustav Svensson, asked back by his native Sweden at age 32, it’s a different kind of renewed chance he once worried had passed him by after deciding years ago to play abroad. So, while Major League Soccer fans will use the FIFA international break these next two weeks to catch an early-season breath, the players representing their country’s teams in a series of friendlies and qualifiers will play some of the most important minutes they’ll see all year. And, the hope is, they’ll return to MLS with a deeper appreciation of the game on a global level and ability to help their club teams with a higher caliber of play. Morris two summers ago was instrumental in helping the U.S. capture the CONCACAF Gold Cup, scoring the winning goal against Jamaica in the final. It was a seminal moment for the second-year professional, going through a sophomore slump with the Sounders that year and needing a springboard to propel him back to levels expected. Instead, he tore his hamstring not long after and missed all but one half of one game the final three months of the season. Then, 13 months ago in El Salvador, he tore the ACL in his knee in the Champions League opener and missed the entire 2018 season. So, to have the U.S. team call him up just two matches into his comeback season – with new coach Gregg Berhalter now running the national team show – is a reward few people, including Morris, fully saw coming. It helped that Morris had a chance to meet with Berhalter in January and discuss the team’s expectations. Morris listened carefully and sensed that a good start to his season might bear fruit. Scoring a pair of goals against Cincinnati in the season opener to be named MLS Player of the Week and then adding a goal and an assist last Saturday at Chicago was about the best start possible. Svensson is on the opposite end of the spectrum age-wise from Morris but had dealt with a similar need to impress a new coaching staff ahead of 2017 qualifying for last year’s FIFA World Cup in Russia. In fact, Svensson, who has 19 international caps, was doubtful he’d even be called upon for those qualifying matches. He’d played in China in 2016 and figured his moving on to MLS would place him too far away for a new coach to truly gauge his club play on a consistent basis. Svensson not only got a surprise call to train ahead of those qualifiers, but he then came off the bench as an early injury substitute in a shocking win over Italy that eliminated the Azzurri from World Cup contention. Sweden did qualify for the Cup tournament and Svensson played for them in it last summer. The Sounders did their part by allowing Svensson to leave the squad early to partake in that 2017 overseas training, helping him earn the coaching staff’s trust and a roster spot. They reasoned he’d return a better player and were rewarded when he played a critical role in helping the Sounders reach the MLS Cup final a second straight year. Even when things don’t go the right way for international players, it can sometimes pay off for their club teams. The Sounders knew a banged-up Nicolas Lodeiro was unlikely to make Uruguay’s star-studded World Cup roster a year ago, but gave him extra time off in-season to heal a broken toe so he could try. They hoped the disappointment of his being dropped from the roster would motivate him when he returned to MLS play. And they were right: Lodeiro played like a man possessed down the stretch, notching a franchise record 16 assists as the Sounders went on a torrid second half run to make the playoffs. This year, Lodeiro, who has picked up where he left off last season with three assists already was called back into Uruguay’s camp. Jordy Delem, a fixture with the Martinique side, is the fifth Sounders player called in for international duty. Roldan has made seven appearances for the U.S. team since 2017 and says he learns something new each time. It’s tough not to, training alongside star players from not only other MLS sides but also better leagues in Europe.